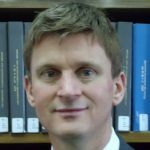 WelCom April 2018: Te Pūtahi Katorika ki Aotearoa – The Catholic Institute, has a new lecturer, Dr Christopher Longhurst, STD (Doctor of Sacred Theology). Chris joined TCI following Dr Elizabeth Julian rsm’s retirement late last year. He is lecturing in Theology and Scripture. Chris holds a doctorate in Dogmatic Theology from the Pontifical University of St Thomas Aquinas in Rome – also known as the Angelicum. His thesis was titled Dire Dio nell’arte: riflessioni teologiche sulla pittura contemporánea (To Speak of God in Art: Theological reflections on contemporary painting). Originally from Ahuriri – Napier, Chris has lived his adult life in Italy and Morocco. He was Professor of Philosophy and Religious Studies at Al Akhawayn University in Ifrane, Morocco, and Operatore Didattico (educational officer) at the Vatican Museums, prior to returning to Aotearoa New Zealand last year. 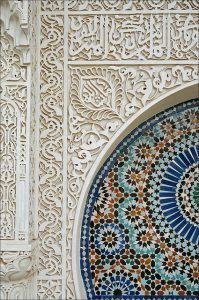 Chris has also taught for Victoria University continuing education courses, on the intersections between art and religion: ‘Beauty in Islam’ and ‘Vatican Art and Architecture’. His speciality, ‘theological aesthetics’, is about ‘the interdisciplinary study of theology and aesthetics’. Chris is also a specialist in the new field of Comparative Theology – ‘raising theology from faith-seeking understanding to the intellectual core of religion’. 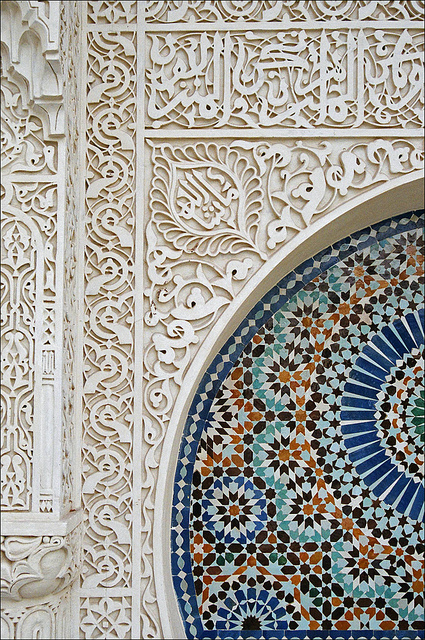 A regular contributor to the Vatican’s publication L’Osservatore Romano, Chris’ research for an article on Sacred Beauty of Islamic Art (2011) took him to Morocco to explore Islam’s arabesques and tessellations (see fig.1). ‘They are undoubtedly among the world’s finest examples of overlap between religion and non-representative art’, he says. Chris likes to think of how Pablo Picasso and Henri Matisse would have objected to his attempt to put ‘god’ back into so-called ‘secular art’, although he believes Pope John Paul II would have approved. ‘The Pope’s Letter to Artists (1999, n.6) states that “every genuine art form in its own way is a path to the inmost reality of humankind and the world”. He adds that Pope Francis’ idea of the artist as “witness to the invisible” conveys a similar impression. After Easter, Chris will co-ordinate TCI’s Wellington site and he hopes to soon offer a new course on Christian Art and Architecture.